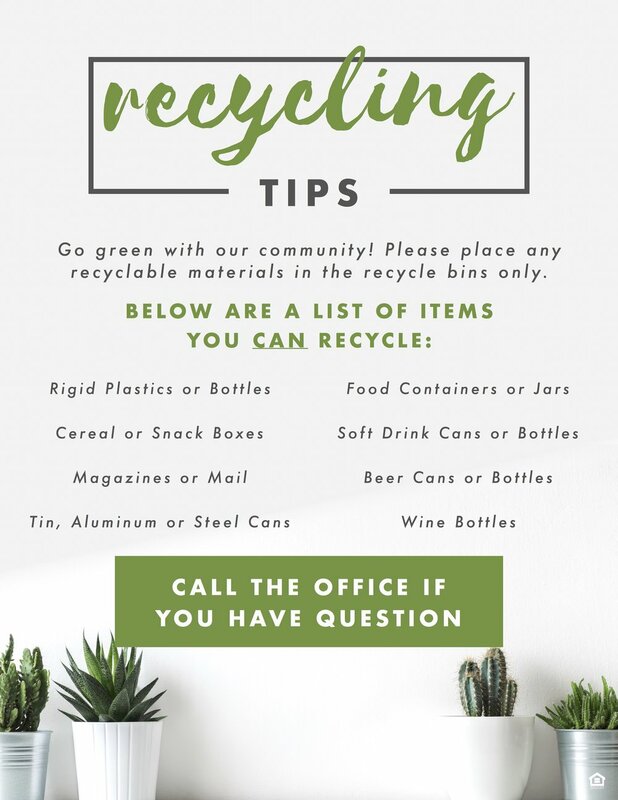 RecyCling Notice: Taking care of our home…Earth! A gentle resident reminder to RECYCLE RECYCLE RECYCLE during Earth Day month and always! Staggering stats on recycling according to DoSomething.org. In the spirit of being GREEN, don’t print the flyer! You can email it to your residents or just put it in a shadow box in the office so residents can see it when they walk by. The social media square will also help to spread the word!